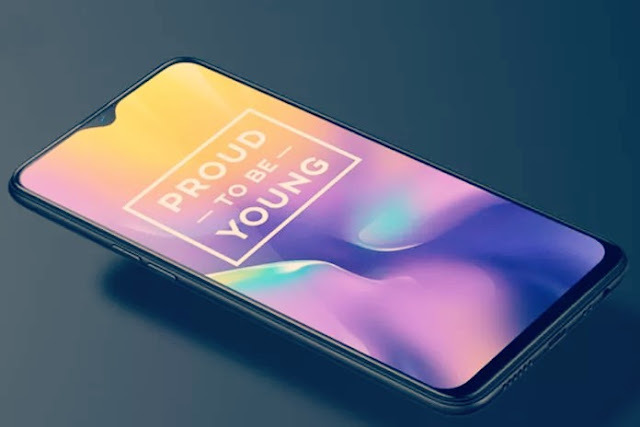 Realme U1,With 4GB RAM and 25 MP Selfie Camera, the country's first Helio P70 chipset - mobilereview.online - The Ultimate resource for mobile phones reviews, specification, information. Realme have the record of the cheapest 8 GB RAM phone launched in the country. Two months ago, Realme had introduced the new 'Realme C' smartphone series with Realme 2 Pro as well. While repeating his success today, Realme has introduced another new smartphone series on the Tech platform. Realme's 'Realme U' series has been dropped in India and the series started with the company, with the Realme U1 smartphone. Realme U1 is the first smartphone launched in India which runs on the MediaTek Helio P70 chipset. Realme U1 has been introduced by the company in 2 variants in the country. A variant that supports 32 GB storage with 3 GB of RAM memory and the other variant has 64 GB of internal storage with 4 GB of RAM memory. Realmw has launched 3 GB / 32GB variant at a price of Rs 11,999 and the price of 4 GB / 64 GB variants has been kept at Rs 14,499. Realme U1 will be available for sale on the company's website from today itself. This phone will be available for Exclusive Sale on Shopping India Amazon India from December 5. Speaking of Realme U1's Features and Specifications, this phone is introduced on a 19.5: 9 Aspect Ratio with a Bezel Lace Display, in which the U-shaped DuDrop is given in the middle. This phone supports a 6.3-inch FullHD + display which is protected from 2.5 de Curved Gorilla Glass 3. The phone has only been given a sensible camera in the Nokia. Realme U will be available for sale in Ubisius Black, Brave Blue and Fairy Gold Color. Realme has launched its new smartphone on Color OS 5.2 based Android Orio. This phone runs on the Halio P 70, MediaTek's latest chipset, with an octa-core processor with 2.1 GHz clock speed. Let us tell you that on the Helio P70 chipset, no smartphone has been launched in India till date. Realme U1 is the first phone that has entered the market with this chipset. This phone has been given the ARM G72 GPU for graphics. At the same time, the storage of both variants of the phone can be increased to 256 GB via the card. Speaking of photography segment, Realme U1 Dual Rear Camera supports. The 13-megapixel primary and F / 2.4 aperture 2-megapixel secondary camera sensor with F / 2.2 aperture has been given with LED flash on the back panel of the phone. At the same time, this phone supports a 25-megapixel front camera with F / 2.0 aperture for selfie. Both of the phone's camera setup supports Boka effects. Realme U1 is a dual SIM phone that supports 4G VoLTE. For security with basic connectivity features in the phone, where the fingerprint sensor is provided on the rear panel, this phone also supports Face Unlock technology. Similarly, for the power backup, the battery of 3,500 MAH has been provided with OTG support in Realme U1.